The left appears to be rearing their ugly, intolerant heads once again only this time it’s over those who dare rent their homes to people the left disagrees with when it comes to politics. 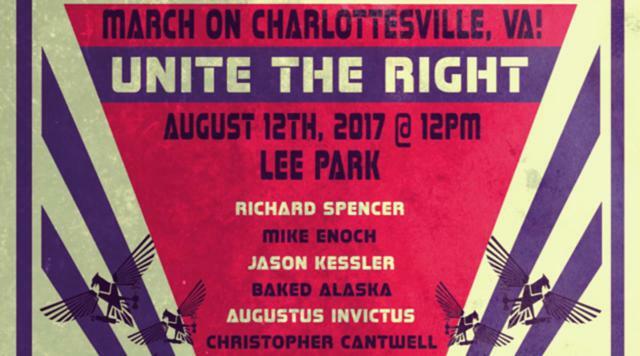 Apparently, there is an “Alt Right” rally coming up called “Unite the Right.” The rally is scheduled to take place in Charlottesville, Virginia and people from across the country are planning on attending. Chatter within far-right spheres alluded to a possible crackdown against those traveling to Virginia to hear white nationalist Richard Spencer, Buzzfeed washout turned fundamentalist Baked Alaska, Augustus Invictus, a one-time Senate hopeful and author of such LinkedIn screeds as Future or Ruin: The Argument for Eugenics and others preach hate in front of a statue of a Confederate general. It’s understandable why many people find the speech of white nationalists to be abhorrent and unacceptable, but America has a 1st Amendment that protects all speech, it doesn’t matter if someone else doesn’t agree with the speech. Airbnb infusing itself into this to not only stop people from freely attending the speech but to stop others from earning money from those people shows their intolerance TO free speech. They are behaving in the exact same intolerant way they claim those on the far right are behaving. That’s all well and good but aren’t they violating their own ‘terms of service’ by discriminating against those who don’t agree with their ideology? What is their line in the sand? Who decides which group of people are okay to discriminate against and which are not? Shouldn’t it be up to the people renting out their homes to decide if they want to rent to someone attending the rally or not? It’s amazing how quickly those on the left will work to shut down anyone they disagree with, even through violence, yet claim to be tolerant and to support free speech. One cannot support freedom by shutting down anyone and everyone who may not agree with your political ideology, even if you find their beliefs to be outrageous and even racist. And since many of these people voted for and still support President Trump, it’s almost as if Airbnb has decided to become part of the “Resistance” rather than part of the economic engine that fuels the company and the people who use the site to rent their homes.